Use in conjunction with any acrylic medium or acrylic color when increased flow and absorption and decreased film tension and friction are important. Does not contain binder. Over thinning of acrylic paint with Liquitex Flow-AidTM and applying to a non-absorbent surface (i.e. gessoed canvas) may result in poor adhesion. Always make a test piece for your particular application and surface. On absorbent surfaces, will act as a stain, dye or watercolor. Liquitex Flow-AidTM is a concentrate. Dilute with water before mixing into paint. Distilled water is best, since quality of tap water varies. Minimum dilution: 1 part Liquitex Flow-Aid to 10 parts distilled water to achieve Flow-Aid Water. Normal dilution: 1 part Liquitex Flow-Aid to 20 parts distilled water to achieve Flow-Aid Water. Do not shake or rapidly stir. This will increase foaming of Liquitex Flow-Aid. Wait until foaming has subsided before using. Absorbent surfaces: Use as much Liquitex Flow-Aid as necessary. The Flow-Aid water/paint mixture will be absorbed by the support. 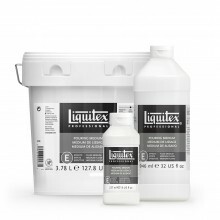 Mix Liquitex Flow-Aid water into water based paint. 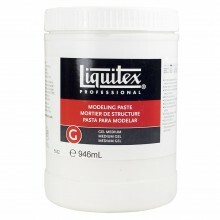 Do not mix Liquitex Flow-Aid with turpentine or oil paint. Do not use Liquitex Flow-Aid in marbling, as this technique requires that the surface tension of the water film be maintained. Liquitex® Paint Additives are similar to acrylic mediums in that they are mixed into acrylic paint and acrylic mediums to change consistency, thickness, transparency, sheen, drying time and absorption rate. However, they are different in that they do not contain acrylic polymer emulsion and therefore have no binding qualities inherent in them.